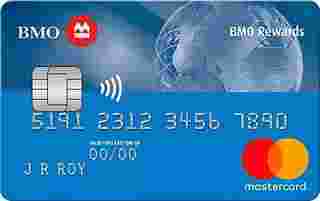 BMO Rewards MasterCard is typically available to those with good credit scores (650 or greater). - In addition, earn 10,000 miles after your first card purchase. On purchases made at National Car Rental and Alamo Rent A Car.